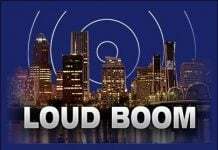 Mysterious booms rattling your homes and windows may become the new normal in the USA. Well, they seem to increase in numbers and intensity these days as always more people are being annoyed by the loud booming noises. 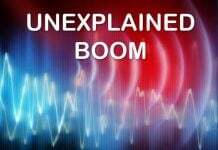 Either being from underground tunnels, earthquakes, army trainings or exploding meteors, the thing is that mystery booms will almost always remain unexplained. 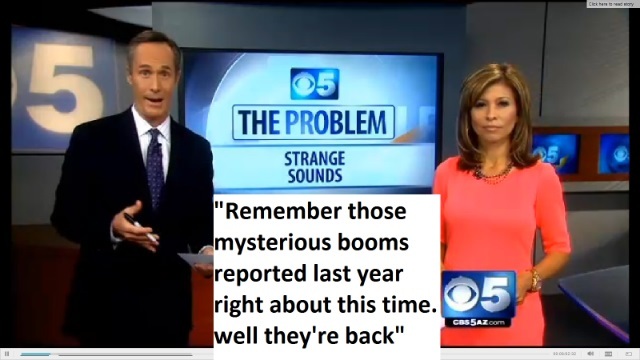 The mysterious booms are back and nobody knows why! 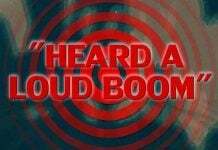 At about 4:30 p.m. Saturday, hundreds of reports of a loud “boom” were sent to the Commercial via social media. A few minutes later, residents in the Magnolia area, some 108 miles southwest of Pine Bluff, Arkansas, reported a similar sound to the online news organization Magnolia Reporter. No weather-related noises. The Pine Bluff Police Department also reported no information on the sound, which some residents south of Pine Bluff reported shook their homes. No explanations offered from Officials. So what? Sonic boom? UFOs? or ice cracking up in the Arkansas River? Wyomissing police investigates an “extremely loud boom” that shook homes, rattling roofs and walls, about 12:40 p.m. Sunday in Pennsylvania. The cause of the noise had not yet been determined. Several people rushed outside to see what had happened. It felt like an earthquake. Did you feel a shake or hear a boom where you live in the last few days?